AZLIMO.COM is your go-to service for all your transportation needs. With us, you can rent a party bus effortlessly and start having fun the moment you hit the road. Whether you’re going to a concert with your friends or throwing a birthday party, our luxe party buses will fill your traveling experience with a sense of excitement. Our chauffeurs are highly trained and fully vetted professionals, with exceptional records, so your safety is guaranteed. What’s more, we boast competitive rates that bring value for money. You can request a free quote and rent a Phoenix party bus in just a few simple steps. Why should you rent a party bus? Where to go on a party bus? Can you drink in a party bus? Here at AZLIMO.COM, you can find a first-rate fleet of comfortable and luxurious party buses. This type of vehicle is designed to delight you – it’s the perfect choice for any festive occasion. Our party buses boast a cozy, stylish interior, subtle mood lighting, and more than a few charming perks. Rent one and see for yourself! Why should I rent a party bus? Renting our party bus in Phoenix, AZ is a convenient solution to merge the festive party spirit with the excitement of traveling. No matter where you’re going, a top-notch party bus from our fleet will ensure that you get there safely, efficiently, conveniently, and adventurously! We know that traveling is as important as the destination itself. So, we bring you exceptional party buses that will turn your trip into a true adventure on wheels. Our party buses come in different sizes and can accommodate from 20 to 40 people. The interior design of our party buses is truly enticing, featuring cozy leather seating, ambient lighting and high-tech sound systems. You can rent them for any occasion and enjoy the luxe ride in an exciting, lavish environment. Are you planning a bachelor or bachelorette party? Are you going to a concert and want to start the party on the bus? Do you want to try something a bit different for your birthday? AZLIMO.COM has you covered – just rent one of our party buses and travel like a superstar! Another great reason why you should contact us for one of our prime party buses is the level of convenience and flexibility they bring. You won’t have to worry about finding the fastest route to your destination or getting stuck in traffic. Instead, our experienced, trained and carefully vetted chauffeurs, who adhere to the City of Phoenix traffic safety guidelines, will take you to your destination, ensuring that your trip goes off without a hitch. You can count on them to bring the highest level of professionalism, expertise, and discretion. 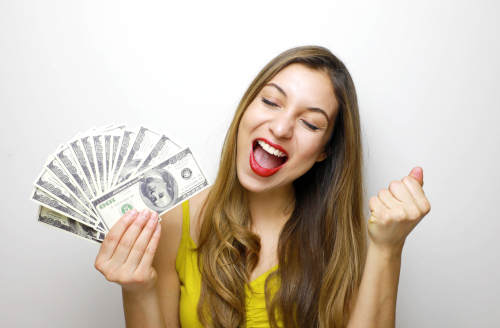 On top of all this, renting a party bus is quite an affordable transportation options because AZLIMO.COM offers you fair, fixed fees and hides no additional expenses. And once you split the bill with your fellow travelers, you’ll be delighted by the affordable price. There’s no doubt that our party buses are suitable for any destination you choose. Do you want to attend a show in a nearby city? AZLIMO.COM is here to take you. Do you want to take your friends to the South Mountain Park and have fun along the way? Our party buses in Phoenix are the solution. Do you just want to celebrate a special occasion by partying and driving around in a luxe bus? Book with us today! We are here to accommodate your needs and requests, so feel free to share them with us. If you want to bring some drinks on the bus, or you want us to provide them as a service add-on, just let us know. We always strive to ensure the absolute satisfaction of our clients. And we will take you wherever you want to go! Our expert drivers have vast knowledge of the entire region, so they will easily find your destination while you enjoy the party with your friends. You won’t have to think twice about finding your way around an unknown city because you’ll be in completely safe and competent hands. We can take you anywhere in the Phoenix area and beyond. You just need to contact us so that we can discuss the details of your trip. We can help you choose the right party bus for you and your companions and make all other important arrangements. 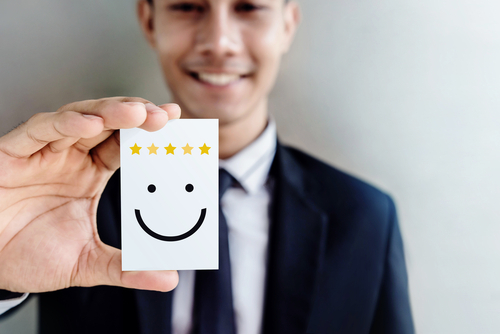 We want to provide you with the ultimate customer experience, so give us a call! From the moment you book our unrivaled services, you can start planning your traveling adventure. We will be by your side every step of the way to ensure that everything meets and exceeds your expectations. We are one of the leading transportation companies in the area and we can prove it! 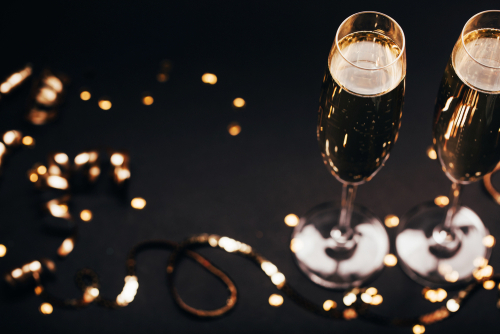 With us, not only do you get to travel on the best party bus you can find, but you can also reap all the benefits that we offer to our clients – cost-effective rates, luxe vehicles, experienced and trained drivers, effortless booking, and more. Nothing is more important to us than your satisfaction and security, so we will go above and beyond to ensure them. Contact us at (480) 635-8887 and make a reservation for your party bus! Why rent unmatched party buses in Phoenix? You can rest easy knowing that your driver has passed our rigorous vetting process. They have undergone our background and reference checks, so your maximum security is guaranteed. What’s more, they are the best in the business, so they’ll treat you with the utmost care and respect. Our vehicles will keep you comfortable during your trip. They are elegant and trendy, inspiring relaxation and excitement. 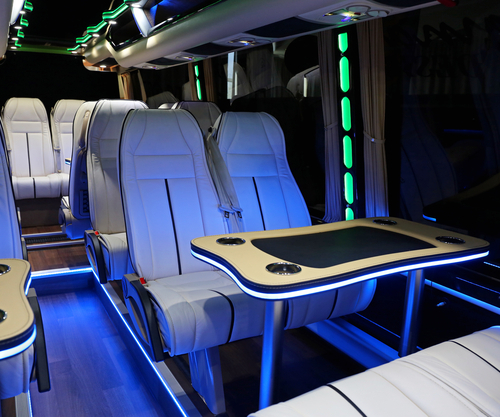 You will feel like a superstar in our luxe party buses that exude intimacy and sophistication. We value honesty, which is why we provide our clients with full transparency. You can request a price estimate at any time. Our rates are more than fair for the extraordinary level of service quality that we bring. Our top priority is your satisfaction and happiness. This is why we’ll gladly accommodate your special requests or fit into your schedule whenever possible. 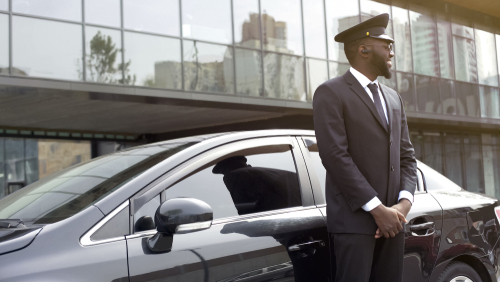 Our drivers will be professional, polite and discreet so that you can have a ride of your lifetime. We leave nothing to chance, especially not your security. 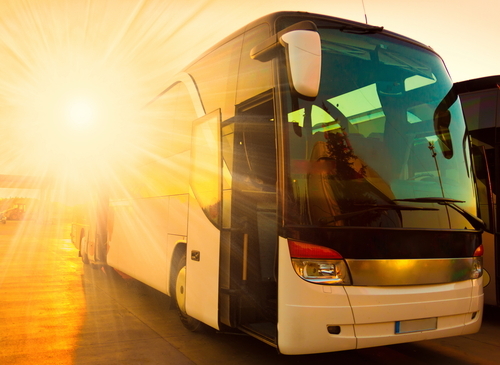 Our party buses and other vehicles are properly maintained and serviced on a regular basis. Have your peace of mind knowing that our buses are in excellent condition. Do you want to make your party even more special and memorable? No problem! We will include additional amenities so that you can have a one-of-a-kind traveling experience. Just let us know what you need and we’ll make sure you get it!